About - NEW DIRECTIONS FOR LIFE, INC. Founded in 2009 by Shawn Dinkel, New Directions For Life, Inc. began as a local mental-health agency in the Denver-Metro area. The agency offered a variety of mental-health services for individuals, couples and families, until early 2015 when Shawn relocated with his wife to the Colorado high country. Since then, Shawn has scaled back his practice and is now the sole treatment provider within the organization. In 2018 Shawn decided to redo this site with the intent on creating a repository of information gained from his years of personal and professional experience. Along with a new layout, you will find additional content posted throughout the site, including a resources page, blog, and podcast (coming soon)! 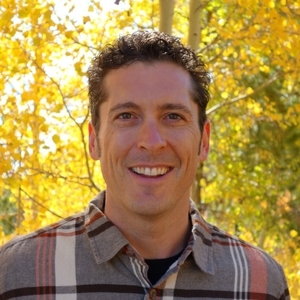 Shawn is both a Licensed Professional Counselor (LPC), and a Certified Addiction Counselor (CACII) in the state of Colorado. Over the past 14-years, he has facilitated more than 9,000 therapy sessions, with more than 5,000 of those being group format. Shawn continues to offer direct services to clients, and is currently working towards sharing more of what he’s learned from his personal and professional therapeutic journey in a new resources page, blog and podcast (coming soon)! As an avid therapeutic explorer, Shawn spends a great deal of time studying, researching, and/or directly participating in a variety of therapeutic mediums designed for personal improvement and change. Outside of such endeavors, he has a profound fondness for music and the arts, diet and nutrition, and a deep appreciation for nature and the outdoors, where he and his wife spend most of their free time.